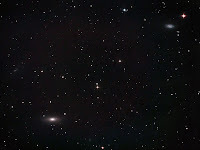 With the moon now out of the way the springtime pursuit of galaxies has come around again. With most of the brighter ones now imaged (that are achievable in my sky) it seems a bit like collecting train numbers as the search for lesser known targets continues. I found this pair of NGCs in Ursa Major. 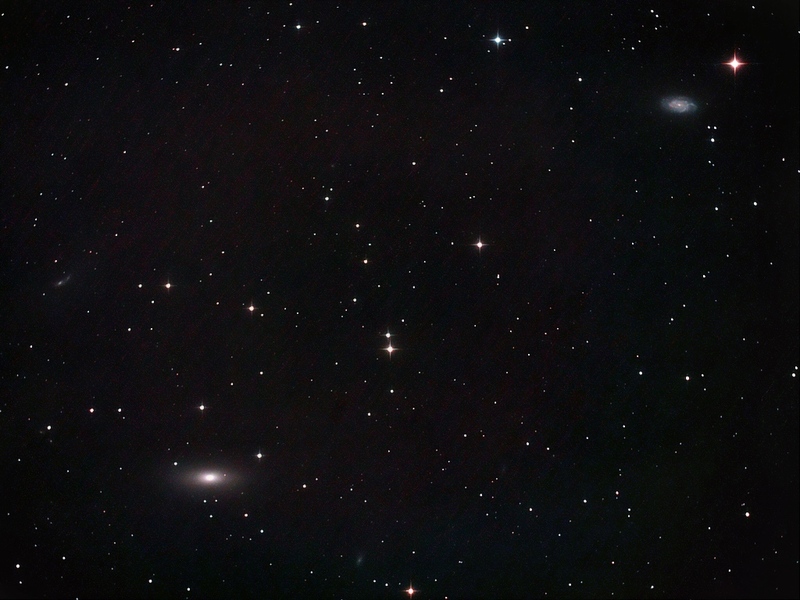 Bottom left is NGC 2768 and upper right is NGC 2742. Details: 10" f4.3 Newt. 12 x 8 minute exposures @ iso1600 with CLS in DSS, FIV, CS2 & XAT.